Today I'm focusing on the recently conducted award ceremony The OSCARS. One particular lady that really caught my eye…my favorite actress. We all have come to love her…having graced the most recent TV series' now…from her movies to her sense of style…to me she’s the whole package...Introducing to you the gorgeous Taraji P. Henson. Looking back at some of her past and recent photos this lady never ages at all!! !She slays even when not appearing on the red carpet. What I love most about her sense of style is that she truly knows her body and dresses accordingly from well fitted dresses to serving us some thigh-high slit. 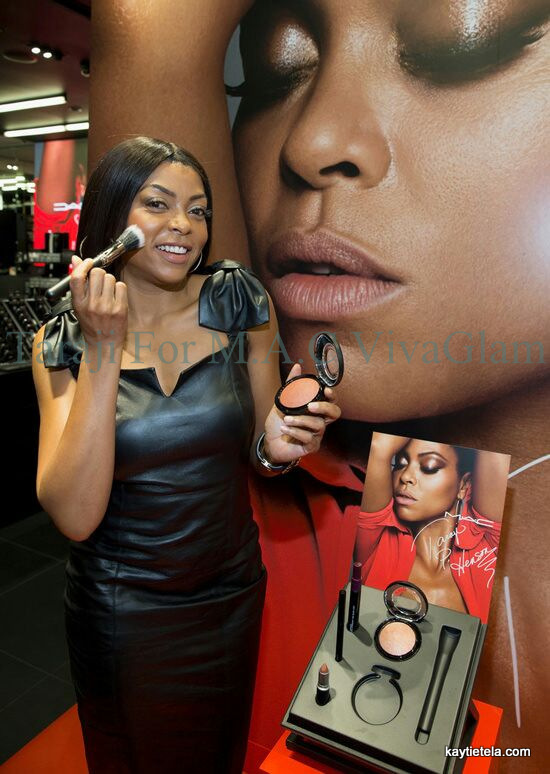 And not only is fashion and style a thing….let’s talk about beauty for a moment…my madam landed a huge endorsement alongside Jussie Smollett with Mac Cosmetics dubbed Mac Viva glam. Something you might not know is that every cent from the selling price of M.A.C VivaGlam lipstick and lipglass has gone toward helping women, men and children living with and affected by HIV/AIDS. Did you know that Taraji Penda Henson is an American actress and author!? Better known for her role as Cookie Lyon in the TV drama series Empire…Her latest inspirational film Hidden Figures (won a SAG Award for Best Cast) Some of her films include: Think like a man, No good deed, I can do bad all by myself, Ice age, Not easily broken etc. She also won a Golden Globe Award and was nominated for two Emmy Awards in 2015 and 2016. And above all she’s a mother of one handsome young man. Like I said in the beginning this lady is a whole package…am I the only one who is fascinated that her maiden name is a Swahili one Penda meaning love? Anyway if she happens to be your neighbor or friend pass my bear hugs and lots of love from a sister right here in Nairobi, Kenya! Thank you for the read!!! I love . . . . .